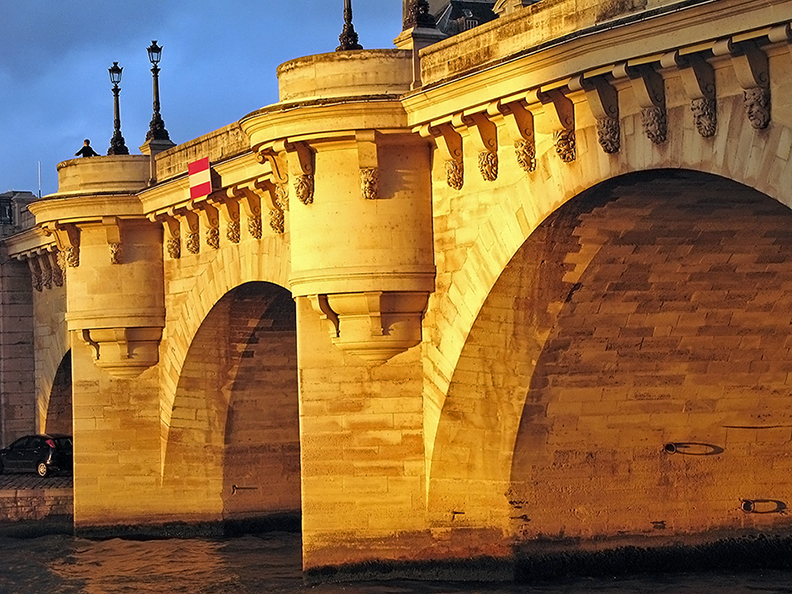 Despite its name, Pont-Neuf is the oldest standing bridge across the river Seine in Paris. 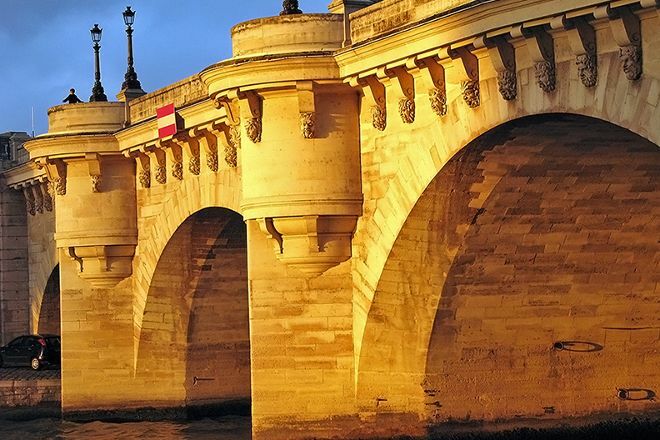 This medieval bridge has two separate spans: one with five arches joining the left bank to the Île de la Cité, and the other with seven spans joining the island to the right bank. Be sure to note the turrets, shaped like half-moons, that give the arches their characteristic appearance. Then look for grotesque masks called "mascarons" that decorate the molding cornice on each side of the bridge. Plan to see Pont-Neuf and other attractions that appeal to you using our Paris visit planning site . Its a bridge made over the Seine river in Paris . The place is beautiful as you can enjoy the boat travelling on the river and you can seat on the steps of the river banks in the evening and take some awesome pictures. The river is not so big but the bridge is very ancient. Some sculpture are there on the piller of the bridge.